Jackson’s Underworld Haunted House is a professionally built attraction. Rated as one of the largest and scariest haunted houses in the United States. The haunted house is 4 stories and is over 115,000 square feet. So what happens in your underwear stays in your underwear. Vote for the best Detroit, 1st place winners 2014, 2015 & 2016. You have no were to run? Now come experience our all new attraction Psycho Vision 3D! 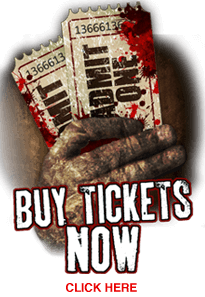 We offer single and duel haunt tickets. Michigan's best haunted house! Jackson’s Underworld Extreme Haunted House is a professionally built attraction located 1318 wildwood Ave Jackson, MI 49202, rated as one of the largest and scariest of haunted houses in the United States. The haunted house is 4 stories, over 45,000 square feet, on averages 45 minutes and just under one mile long of creature lurking, thrill seeking, adrenaline rushing, goose bump rising, heart racing haunted attraction! Jackson’s Underworld has everything from extremely high tech animatronics and digital special effects to creepy creatures lurking about. In addition to being an indoor haunt we offer indoor waiting, so don’t let the weather stop you from getting your scare on. People with a heart condition, pregnant or any other medical condition that may be affected by loud noises, strobe lights, fog, and sudden surprises may want to refrain from entering. All others enter at your own risk that is if you have the guts. What happens in your underwear stays in your underwear. So don't even think about coming unprepared, you never know what might be lurking in the dark! We don’t close until every ticket holder goes through. Check within our website for date, hours and special offers! Join us at Jackson’s Underworld; let us give you a scare and then share. Follow us on Facebook, twitter and Instagram!! VIP package moves you to the front of the line. Monster Repellent Sticks for only $2 Each. - FREE PARKING!! Friday and Saturdays in September. Thursdays through Sundays in October, Open everyday from October 13 - 31. For the money you pay. Its a joke! Not enough actors and the props don't work properly. 4 stories but barely any rooms just a lot of hallways . not worth the hype. If they put as much effort into the haunt as they do they're commercials it might be good! Lame, crappy, and a total waste of time and money. Walk through the Halloween section at Wal-Mart and get a better scare than this haunted house. Very disappointing. I think the great reviews must be staff because for the money I paid, nope. The "actors" were a bunch of teenagers obviously either forced to be there, or just earning a quick buck. No energy, no real effort to scare. Bunch of old robotic props that you can hear the mechanical workings and they too seemed tired. Went last year and at least there was a couple of monsters that put a good effort in, this year, yikes! The only thing scary is the money I wasted. Hardly any real actors. Same old scare tactics. Brag about how great they are and its a let down. Not worth the money at all. i loved all the changes they made, its much better this year and worth the money. I feel that they had much more actors this year and they did a better job. can't wait to go through the second haunted house they keep telling me about that is opening soon. NOT worth the money or the drive! We didn't have a wait was only good part, other than actors getting back to places. They where short on help. Couple of cool things open cage bridge, vertex tunnel. 4 floors yes.